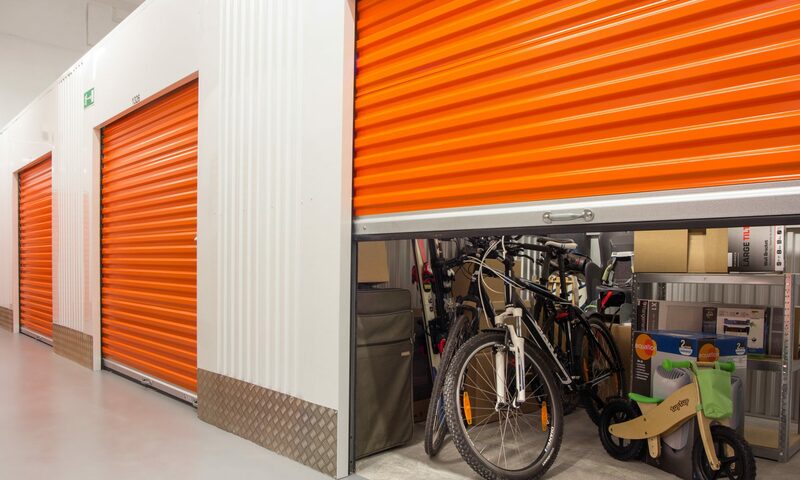 If you’ve ever kept a storage unit for those irreplaceable items that you couldn’t bear to be without but didn’t like enough to actually have in your home, you’re not alone. Americans pumped an estimated $24 billion into their self-storage lockers in 2013, according to the Self Storage Association. And while the memory of what you have tucked in there quickly fades, the cost of keeping a storage unit doesn’t go away. If yours is packed to the ceiling with belongings that you’ve managed to live without after all, it might be time to sort it all out and make a few bucks in the process. Don’t try to clean out your storage unit in just a few hours, one afternoon or even in just one day. Taking the luxury of time will make the whole task go much more smoothly. Plan your excavation over a weekend when you’re well-rested and have nothing but time to kill. Enlisting the help of family and friends and turning your task into a tailgate party will make the whole project more palatable. Friends are always more willing to help with overwhelming tasks when beer and pizza are involved. Show up at your unit with plenty of boxes, garbage bags and a nice empty truck bed for hauling, whether the destination is your new home, the local landfill or the Salvation Army Drop Off. Beginning at the front of the unit, sort items into categories — keep, donate, sell or toss. This is a classic de-cluttering trick that the best organizers use, as MSN Real Estate explains. Move the bigger items aside as you work and load the truck with each box as you fill it. If possible, save the items you’re keeping for the last load. This way you can fill stored luggage sets, dresser drawers and hampers with the things you’re keeping and load them on the truck for their final journey home. It’s also a good idea to set a future sale date in stone. Go ahead and post your auction ad or schedule your yard sale for a date several weeks into the future. This gives you a concrete date to work toward and will help reign you in if you wander off course. Once everything is sorted, the good stuff has been taken home and the donate boxes delivered accordingly, it’s time to sell what’s left over in your storage unit. As Consumer Reports suggests, the easiest way to do this is to simply have an auction company come in and sell it for you. Some sell on-site and others take your items to their auction house to sell them there. Make sure you check with the management of your storage company first to see which method they prefer. One thing to keep in mind — selling your items at auctions won’t net you the most money. If you have valuable antiques to off-load, you’ll do better by having an appraiser come and look at your items to make you a credible offer. Jonathan is a full-time landlord and stay-at-home dad who manages 8 properties across his state and still manages to have family dinner on the table every night.